Especially Escada Elixir is the latest child of the House of Escada. Joining the Especially Escada collection, the Elixir is a powerful interpretation of the original rose-based fragrance. It is built on the classic Eau de Parfum and the playful light-heartedness of the delicate notes from the Eau de Toilette. The 'intensely happy' fragrance is inspired by the Escada woman who is boldly elegant, radiates confident femininity and joie de vivre, lighting up any room with her smile and energy. The fragrance, much like the other members of the Especially Escada family, is built around a rose heart but differs in its wondrous intensity of floral freshness. Notes from the Eastern Rose of Turkey first hits you, draping you with a cloak of mystery. The rose extract is caressed with oriental facets to add depth, colour and density, subtly transforming the light freshness of the pink rose of Especially Escada and the delicate notes of the Eau de Toilette into a scent that is thick with intensity and sensuality. Precious Ecuadorian Ambrette seeds provide a natural chic note to give freshness and depth, pushing the rose accord. A note of musk provides a sense of added luxury, making the fragrance ideal for a romantic rendevous. Natural vanilla extract from Madagascar, amberry notes and a concentrated extract of Patchouli Heart lie at bottom of the fragrance to provide depth. Subtle fruity facets of plum and prune add a touch of richness. 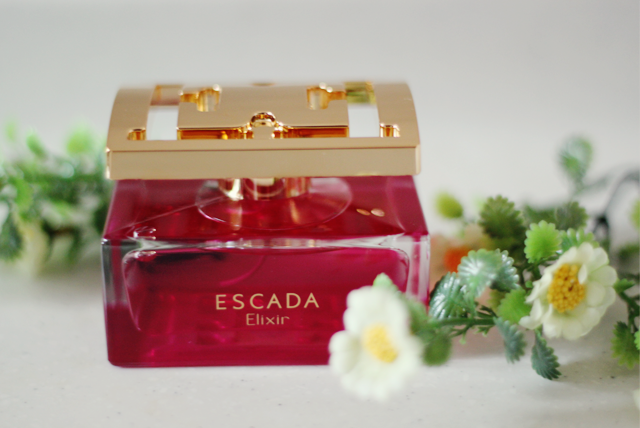 Especially Escada Elixir is a little muskier and slightly more seductive than Especially Escada, making it a perfect fragrance for dinner dates and perhaps, a romantic night out? 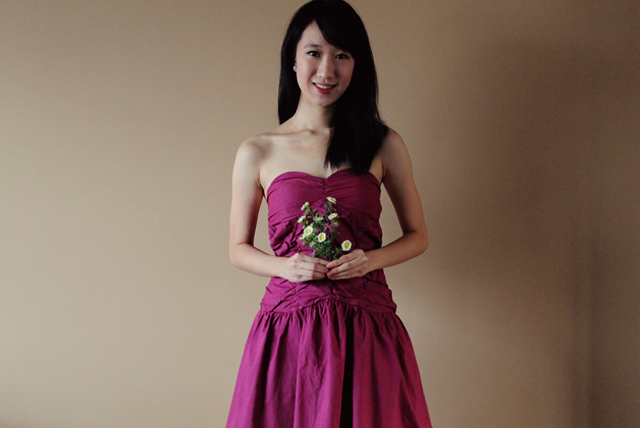 (: When I first received the fragrance, I immediately thought of the above Sisley-inspired number from Love, Bonito. The frills, the deep fuschia, the femininity it exudes... It brings out every aspect of the fragrance. 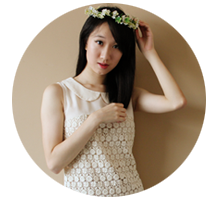 If I had longer hair, I would probably do Michelle Phan's signature romantic curls. Heh.